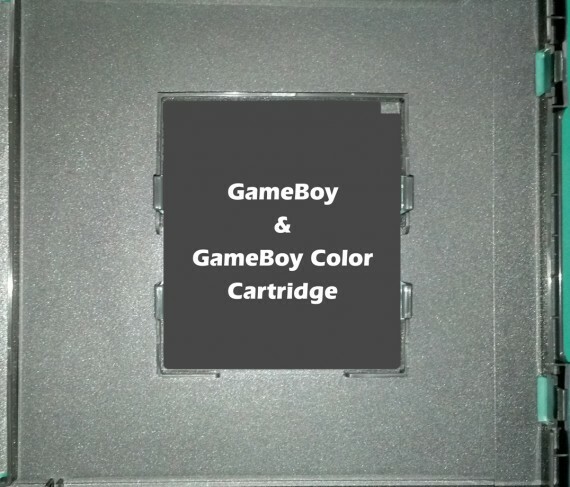 GB/GBC/GBA cases are the same size as the Nintendo DS case and have clips that hold the cartridges in place. There are manual clips on the left side so the manual can be stored with the game. 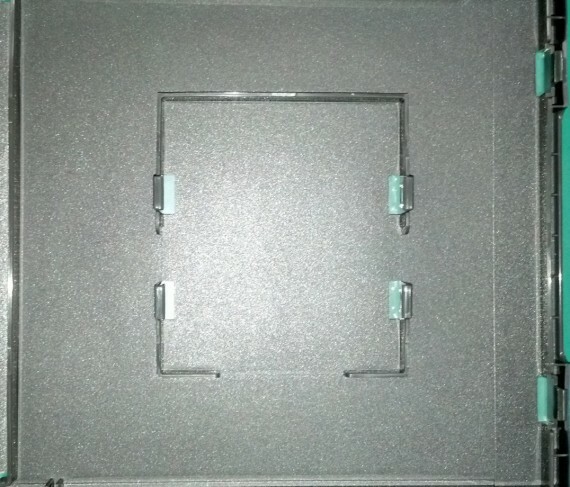 The case features an insert that displays the front, back and spine of the game inside. 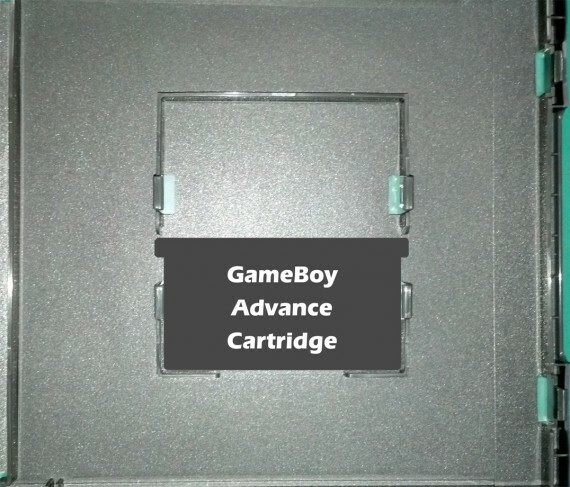 Below are photos of the case without a cartridge in place, one with an example of a GB or GBC cartridge, and lastly one with a GBA cartridge in place.